What’s a better treat than FREE ICE CREAM? Yeah, I can’t think of anything either! This is still a few days away, but make plans to be at a Dairy Queen on March 20th! 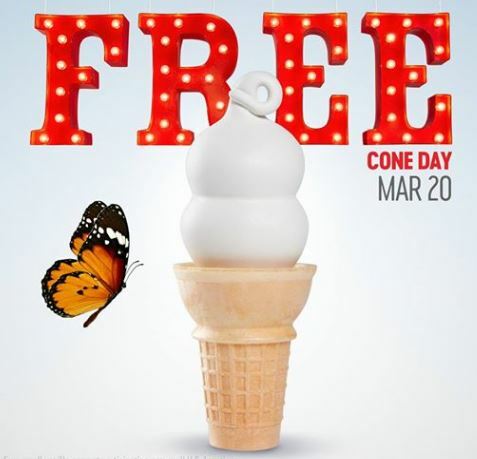 Head to your DQ® for Free Cone Day on Wednesday, March 20th – at participating DQ® locations only. Donations accepted for Children’s Miracle Network Hospitals®. Check out this list for more freebies and deals for the first day of Spring, March 20th!